Congratulations, BJ Marley! Best First prize package winner! C ongratulations to BJ Marley! Ruff the Cat pushed the button on the random number generator and chose you the winner of the Best First prize package! 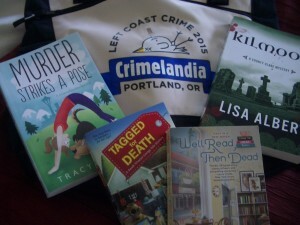 Send your mailing address to me at leslie AT lesliebudewitz DOT com, and the package will go in the mail next week — after I come back from Malice Domestic, where the Agatha Award winners will be chosen! This entry was posted in book giveaways by admin. Bookmark the permalink.